A Tennessee woman is suing Vanderbilt University Medical Center claiming a doctor at the hospital operated on the wrong kidney, causing health problems she will experience for the rest of her life. NASHVILLE, Tenn. — A Tennessee woman is suing Vanderbilt University Medical Center claiming a doctor at the hospital operated on the wrong kidney, causing health problems she will experience for the rest of her life. The lawsuit was filed Tuesday in Davidson County Circuit Court. Carla Miller is asking for $20 million in damages. She claims in 2017, doctors were supposed to surgically implant a stent in her left kidney. Doctors mistakenly implanted the stent in her right kidney. As a result, Miller claims her urinary system was damaged and she now requires dialysis for life. The lawsuit did not specify the name of the doctor or doctors who performed the operation. 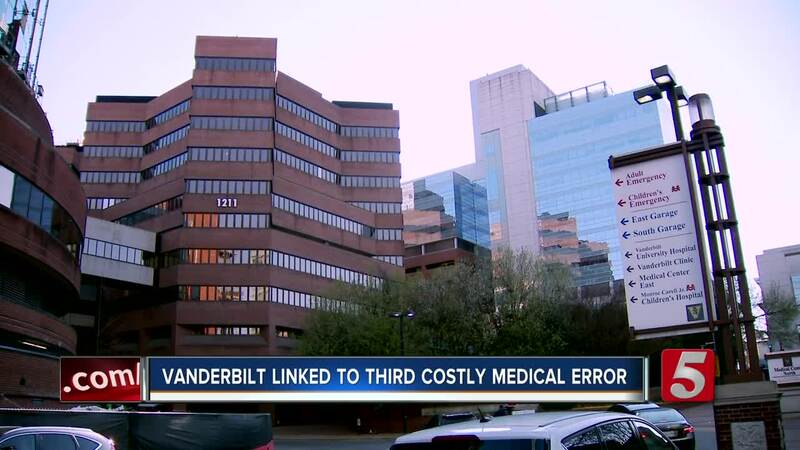 This lawsuit marks the third time this year Vanderbilt University Medical Center has been linked to costly and dangerous medical errors. Last month, another lawsuit claimed a patient died after an unsupervised resident did not properly place a central line in the patient’s throat. Earlier this year, a former Vanderbilt nurse was indicted for accidentally giving a patient a lethal dose of a powerful paralyzing medication that is used to execute inmates on death row. Charlene Murphey, 75, was left brain dead and later died. RaDonda Vaught, 35, was charged with one count of impaired adult abuse and one count of reckless homicide. A senior information officer for Vanderbilt University Medical Center said the hospital could not comment on ongoing court cases. Miller’s attorney, Afsoon Hage, issued a comment: "For a wrong site surgery to occur, there has to be a significant series of breakdowns and errors by multiple health care providers. The fact that such a chain of missteps occurred here is very concerning. This type of error is shocking and inexcusable in modern medicine, and it is mind-boggling that it could occur at an institution like Vanderbilt."